The Canadian CED Network continues to be busy and 2017 was no exception. Here is an overview of some of our accomplishments. • Web traffic continues to grow with 3,000 unique visitors each week on our seven websites. Our online toolbox now has over 1,300 resources and there are nearly 200 posts on our blog. • Our Facebook page now has over 2,000 likes and our Twitter account surpassed 3,200 followers. • Videos on our YouTube channel have been viewed over 22,000 times. • In 2017, our websites received more than 175,000 visits for news, events, resources & jobs. • In June, we held our third fully virtual AGM with online voting & simultaneous translation. • The 2nd Annual Nova Scotia Potluck was hosted by our Nova Scotia CED Chapter where we discussed how we can strengthen the Chapter into the future including a possible expansion into a pan-Maritime Chapter. 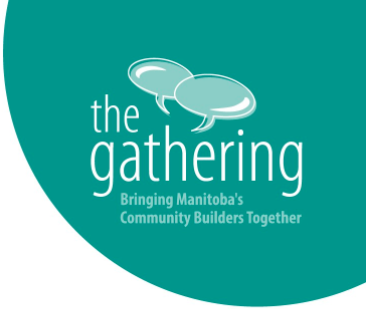 • Our 15th annual Manitoba Gathering brought together nearly 500 people & featured keynote addresses from Carol Anne Hilton and Chimwemwe Undi. 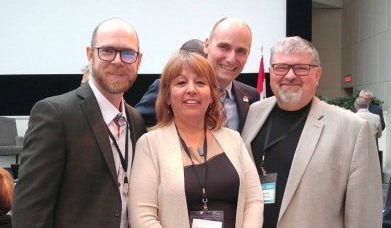 • In May, CCEDNet – Manitoba co-hosted the Canadian Conference on Social Enterprise, in partnership with the Social Enterprise Council of Canada. Over 3 days, over 250 people gathered from across Canada to dive deep into peer-led learning for social enterprise development. 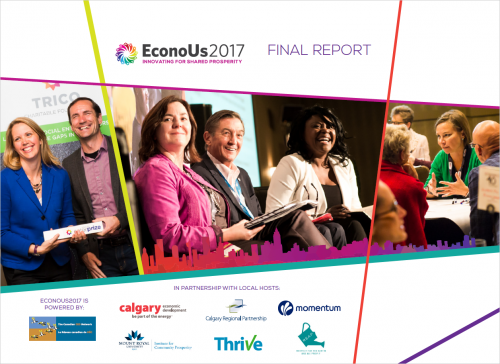 • EconoUs, our annual national conference, brought nearly 400 participants to downtown Calgary for a campus-based approach to connect, learn and take action towards inclusive communities backed by resilient economies. 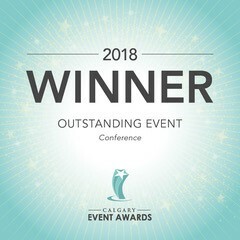 Co-hosted with Thrive Calgary and an awesome team of local partners, EconoUs2017 was a 2018 winner of the Calgary Event Awards for Outstanding Event in the conference category! • C CEDNet began hosting the BC Community Impact Investment Coalition to bring together co-ops and other groups from across BC to build a movement for local ethical investing that benefits rural and urban local communities. • The Social Enterprise Ecosystem project (S4ES) launched in 2017. A groundbreaking partnership between the Canadian CED Network, the Chantier de l'économie sociale, Buy Social Canada, Social Enterprise Institute and Social Value Lab, S4ES seeks to establish a more coherent ecosystem in collaboration with the many other social enterprise developers throughout Canada. • Twelve Winnipeg workshops on topics like Build & Grow Your Social Enterprise and When Media Comes Calling: Prepare and Deliver! !, Tools for Great Facilitation, and the Power of Story attracted 185 participants. • Spark, CCEDNet's pro bono matching service, in partnership with Social Enterprise Manitoba and the Winnipeg Chamber of Commerce, is now creating industry-specific mentorships between local social enterprises and business leaders looking to give back to the community. In 2017, social enterprise BUILD was matched with the head of a local construction company, and New Direction's social enterprise Cafe 6 was matched with a local coffee entrepreneur and expert. • Social Enterprise Manitoba released a Progress Report on the Manitoba Social Enterprise Strategy and continued work with the Province to pilot initiatives that will increase skills, open procurement opportunities, improve evaluation, and better network the sector. We also launched our re-vamped Social Enterprise Intensive Development Support Program, supporting 2 enterprises with small grants and 5 with an intensive development workshop combined with 12 months of business coaching. 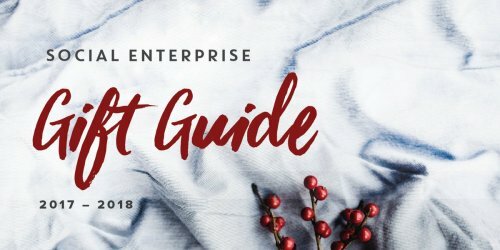 • SEOntario.org, our virtual showcase of social enterprise in Ontario published a social enterprise holiday gift guide for a second year, in collaboration with 20 partners. The Guide received over 5,000 views. • CCEDNet joined Together 2030 to Promote the 2030 Agenda for Sustainable Development, and renewed its Membership in RIPESS. • CCEDNet welcomed three new board members; Carol Ann Hilton (CEO of Transformation International), Kaye Grant (Consultant with Reconnaissance Management Consulting Group), and Emmanuel Bertrand Gauvin (Coordinator Business Women Project for the First Nations of Quebec and Labrador Economic Development Commission). • CCEDNet submitted recommendations for the 2018 Federal Budgets. • CCEDNet-Manitoba submitted recommendations for the 2018-19 Provincial Budget and Manitoba's Climate and Green Plan. We also broke down, how Winnipeg's 2018 Budget Relates to CCEDNet-Manitoba's Policy Priorities for the City, and What the Provincial Throne Speech Means for CED in Manitoba. All this is possible thanks to our members and funders. Join us by becoming a member, or support the movement for inclusive and sustainable economies by making a donation.